Set in your choice of 14k or 18k two-tone gold, our 1.16 carat 3-stone princess-cut diamond engagement ring is set with a 1/2 carat diamond center stone (0.50 carats) with two 1/3 carat princess-cut diamonds on each side (0.33 carats each) for a total of 1.16 total diamond carat weight. 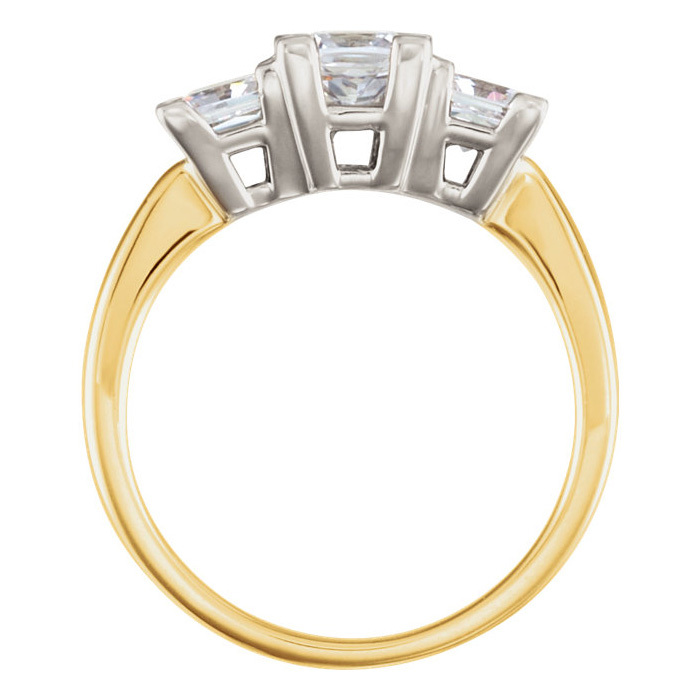 The diamonds are H Color, SI clarity and are set in a traditional basket setting. Also available with 0.75 carat center and two 0.50 carat side stones (by inquiry). Ships within 5-7 business days. Please allow 7-10 business days for 18k two-tone gold. 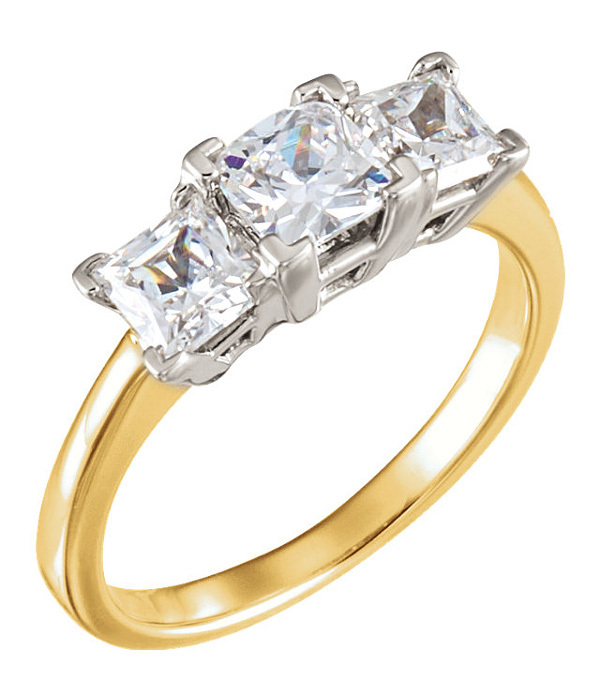 Apples of Gold Jewelry guarantees the 1.16 Carat Two-Tone 3 Stone Princess-Cut Diamond Engagement Ring to be of high quality and an authentic engagement ring with real diamonds, as described above.